£10 / £8. Special price of £17 / £13 if booking evening double-bill. Meet Falkirk’s hardest woman! 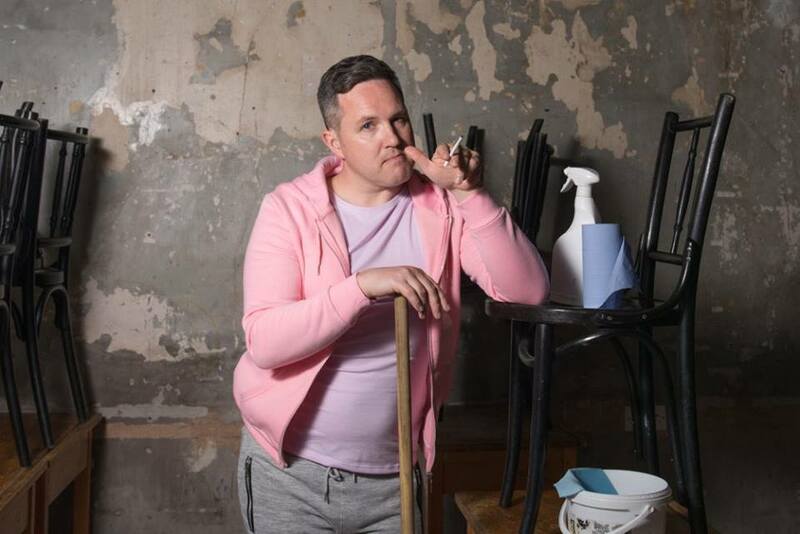 We’re treating you to a double- dose of the rip-roaring, chain-smoking, nae-messin’ heroine as Alan Bissett puts on a double-bill with the award-winning sequel, More Moira Monologues. Moira’s a single mum and a cleaner, who can’t wait to light a fag and tell her BFF Babs stories about her love life, the karaoke night in the Scotia Bar, cleaning posh folks’ hooses, her opinion on Brexit, and, of course, how she protects her darlin’ dug, Pepe, from Diesel the rottweiler. No-one ever forgets Moira! Beware, Moira has a foul mouth so this show isn’t for the young or faint- hearted. Small Festival Bar: serving beer, wine, tea & coffee and soft drinks. Moira Bell is the most charismatic character to appear on a Scottish stage in a decade.